The Criminon programme operates in more than 2,100 penal institutions across some 38 nations. Staffed largely by volunteers, Criminon also trains the personnel of correctional institutions for delivery of on-site rehabilitation programmes. Criminon services further extend to police departments, juvenile facilities and crime prevention programmes—the full equation for a world without crime. Police officers in Mexicali, Mexico, train on the programme's centrepiece, entitled The Way to Happiness, the common sense moral code. In Indonesian prisons running the Criminon programme, recidivism fell to less than 2 %. L. Ron Hubbard discovered the key to true rehabilitation is restoring an individual’s self-respect. To assist inmates to do just that, Criminon students study and apply precepts of The Way to Happiness. In Taiwan, as is the case throughout the world, drug-related offences account for rising inmate populations. For that reason, the Criminon programme includes a drug education component to help inmates understand and overcome addiction. 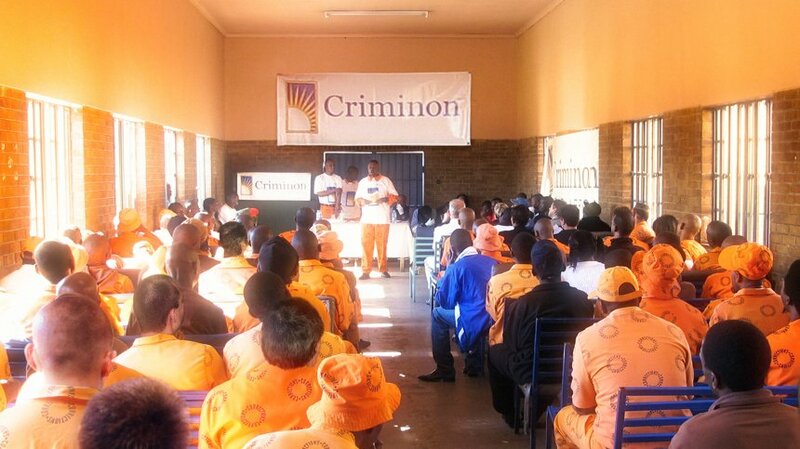 Criminon delivers programmes in more than 50 South African facilities, from juvenile centres to maximum-security prisons.